A first look at Dream, Rob K and Blac Chyna's newborn daughter. 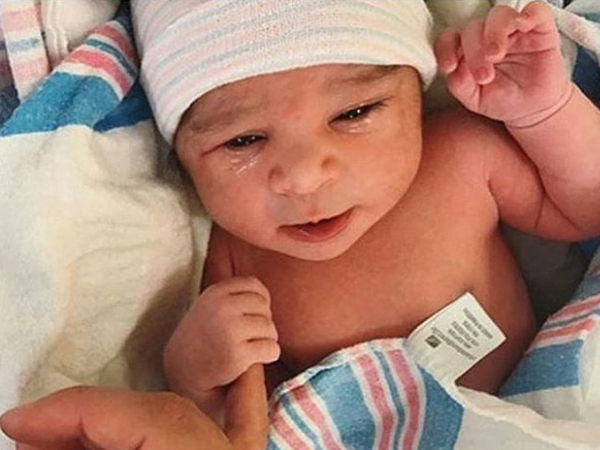 Blac Chyna (Angela Renee White) and Rob Kardashian have shared the first pictures of their new baby girl. The couple have named their bundle of joy Dream Renee Kardashian. The newborn is Blac Chyna's second baby after four-year-old son King Kairo with ex-fiance rapper and producer Tyga. "She is gorgeous and has tons of hair!" a source close to the couple told E! News. According to Daily Mail Online, Rob Kardashian was overcome with excitement of the delivery of his first child, while his mother Kris Jenner was there to support her son. "I got to watch [the] delivery," the KUWTK momager told E! News. "It was so beautiful and I'm so excited and happy to have another grandchild! No. 6!" While the couple is known for documenting their turbulent relationship on their reality show Rob & Chyna, despite their ups and downs the two took part in their own hilarious rendition of the #MannequinChallenge in their delivery room. Many close friends and family have congratulated the pair on their adorable bundle of joy.